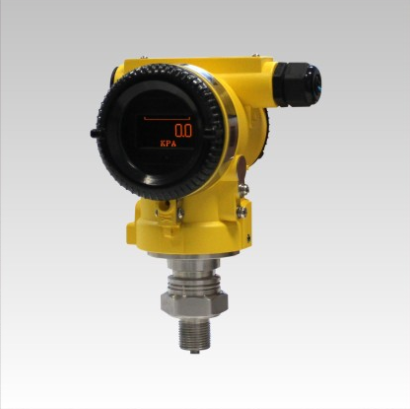 Thank you for using our intelligent pressure/differential pressure transmitters. The modular design of transmitter is the core of microprocessor in the circuit and assists with advanced digital isolation technology, which has a very high anti-interference and stability. And the digital compensation technology is used to compensate the temperature and static pressure, which improves the measuring accuracy and reduces the temperature drift. The features of the transmitter are the good long-term stability, the high reliability and the diagnosis ability, etc. In structure, the configuration, setting up and calibration of transmitter are easy for the users by the HART communication handhold terminal, the knobs of outside shell and the buttons on the display. The remote, on-site parameter setting and function configuration are realized through the HART communication hand operator. It is adjusted by digital communications or local key and is not affected each other. If the sensor or circuit fault, the automatic diagnosis function will automatically output 3.6mA or 21.0Ma (users can preste). 1. The various connections of the intelligent transmitter are not at liberty to loosen or disassemble. 2. Please handle the intelligent transmitter gently, and prevent damage to the diaphragm and other parts. If the already damaged transmitter needs to be repaired, and shall be returned to the company. When returning, please pay attention to protect good transmitter diaphragm. Please wrap the entire component in seismic material back to the company for not damaged in transit. When unpacking, should check whether the packing is in good condition and whether the model and specification of the transmitter are consistent with the order contracts according to the packing list. And check the accessories are complete.